The restored version of the Filipino classic film Himala, directed by the late National Artist Ishmael Bernal, will be screened at the prestigious 69th Venice Film Festival this year. The 1982 film starring Nora Aunor will be screened during the fest through the program titled “Venizia Classici” along with restored classic films such as Chimes at Midnight by Orson Welles, Fanny and Alexander by Ingmar Bergman, Gentlemen Prefer Blondes by Howard Hawks and many more. The restoration is meant to “give contemporary audiences the opportunity to view again or see for the first time films of great historical importance, and to revaluate films that have been unjustly forgotten or that are no longer visible, projected on the big screen in the best possible conditions,” said the program's statement. Written by multi-awarded screenwriter Ricky Lee, Himala was initially released for the Metro Film Festival in 1982. In 2008, the film won the Viewer’s Choice Award for Best Asia-Pacific Film of All Time in the CNN Asia Pacific Screen Awards. 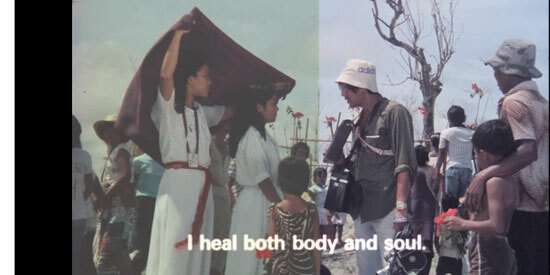 The restoration of the film about religion and faith healing was made possible by the ABS-CBN Film Archives headed by Leo Katigbak. “This is the 30th year of Himala. It is a great Filipino classic we would like everyone to see. We are also planning to re-release it theatrically among other plans. We have also restored Maalaala Mo Kaya, The Movie which is celebrating its 20th year and we have begun work on restoring another ECP title, Oro Plata Mata, which we hope will be ready by early 2013," Katigbak said. Himala will be shown at the Venice Film Fest that will run at Venice Lido from August 29 to September 8, 2012.